Cement based grout for 4 to 15 mm joints. Interior and exterior, grouting on walls and floors of all types of ceramic tiles (double fired, single fired, klinker, porcelain, terracotta, stone materials, natural stone, granite, agglomerates etc. ), glass and marble mosaic, natural stone, concrete-framed glass blocks, etc, easy to apply and finish. Suitable for grouting joints of external façades, balconies, terraces, swimming pools, bathrooms, kitchens and floors with a rustic finishing. 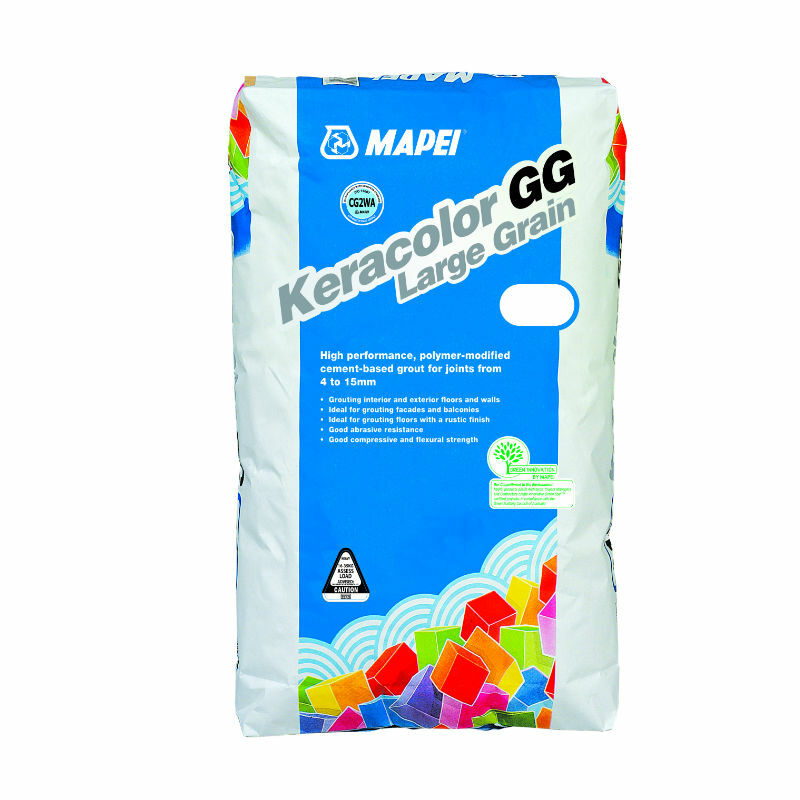 Keracolor GG mixed with Fugolastic improves its finale performances and achieves the right resistance even under severe conditions of use.Coverage depending on the size of the joint.